"When women get together and talk about men, the news is almost always bad news," writes bell hooks. "If the topic gets specific and the focus is on black men, the news is even worse." In this powerful new book, bell hooks arrests our attention from the first page. 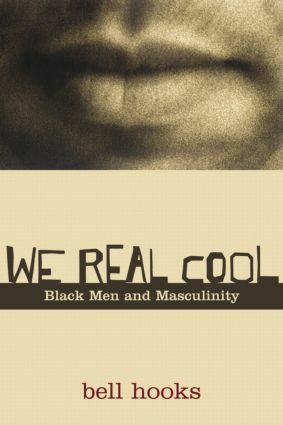 Her title--We Real Cool; her subject--the way in which both white society and weak black leaders are failing black men and youth. Her subject is taboo: "this is a culture that does not love black males:" "they are not loved by white men, white women, black women, girls or boys. And especially, black men do not love themselves. How could they? How could they be expected to love, surrounded by so much envy, desire, and hate?"